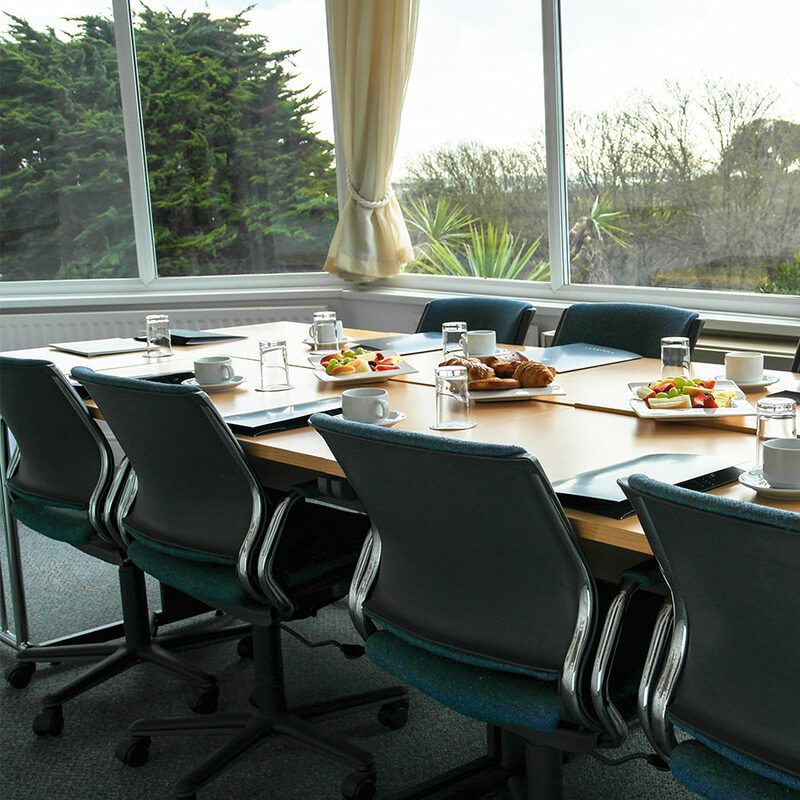 The Chine hotel is situated only 10 minutes from Bournemouth station, conveniently located for extended travel and corporate business locally. 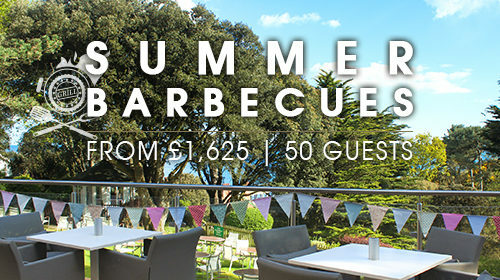 Situated on the picturesque South Coast, the hotel is nestled within three acres of manicured gardens and only a short walk to the beach through our private garden footpath. The hotel not only offers a unique and inspirational location for your meeting away from the office, but also a quiet thinking space. 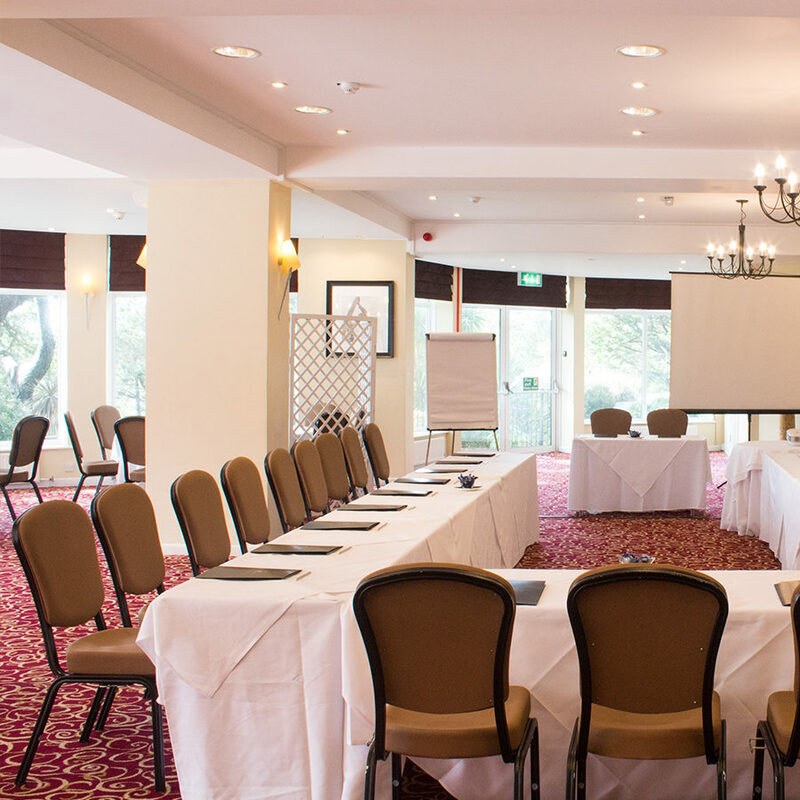 Plus, our highly professional Meetings & Events Team understands the importance of a smooth running event and is dedicated to ensuring your day runs efficiently and professionally. 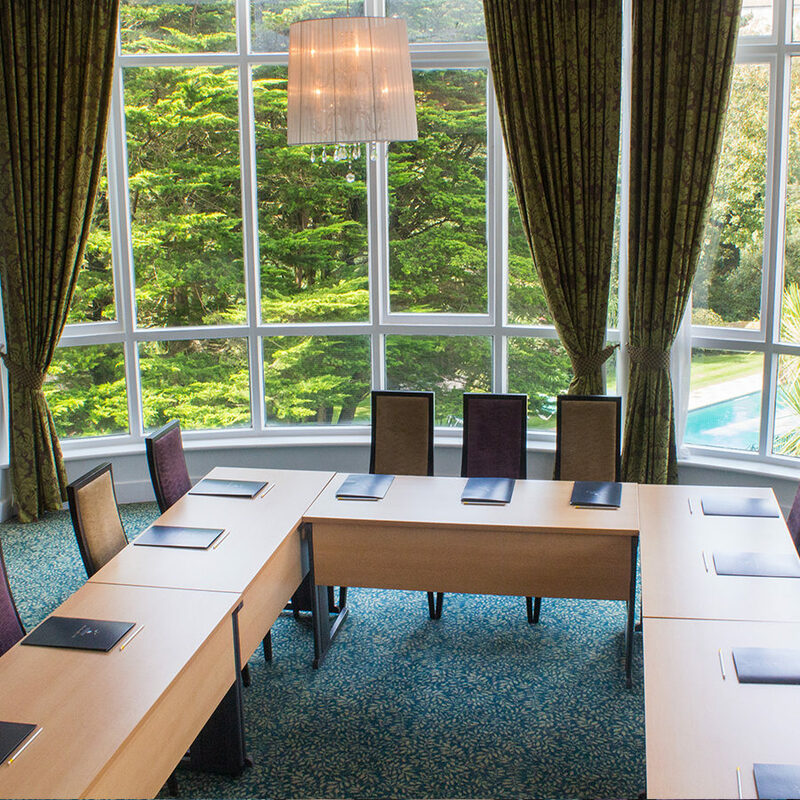 A bright and light spacious air-conditioned conference room situated on the first floor of the hotel. Offering whiteboards, unlimited free Wi-Fi, built-in screen and projectors, combined with garden and pool views, it is an inspirational area in which to work and be mindful. Ideal for day conference, trainings and business meetings. 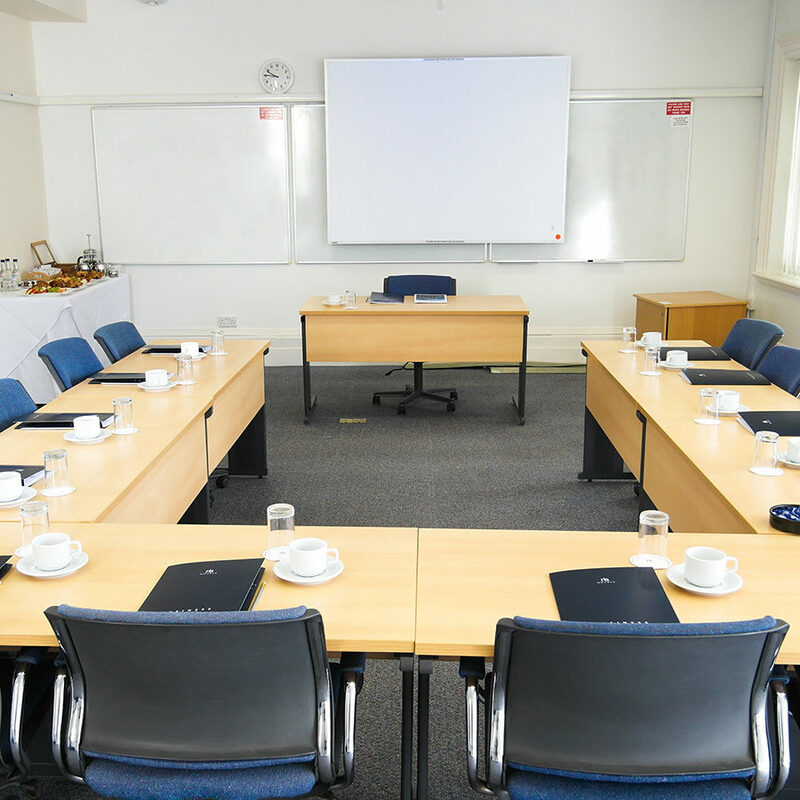 This versatile well-equipped conference room has everything you could possibly want and more. 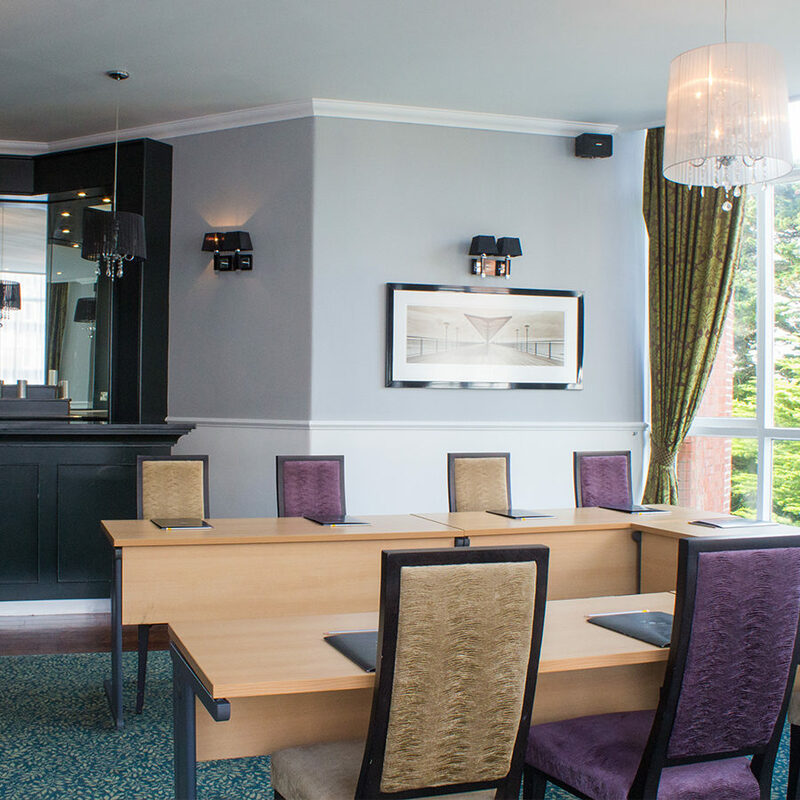 With ample seating for your main conference, the conference suite also includes a bright private syndicate room with garden views plus two syndicate rooms outside of the room for up to 10 delegates each. 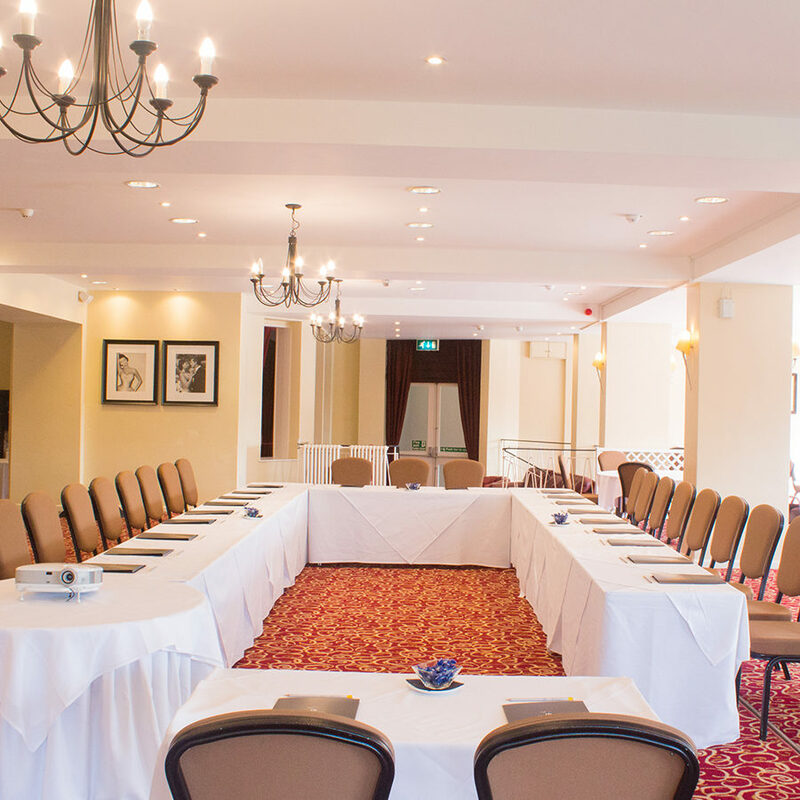 This large refurbished ballroom is transformed from ballroom to conference suite in moments. 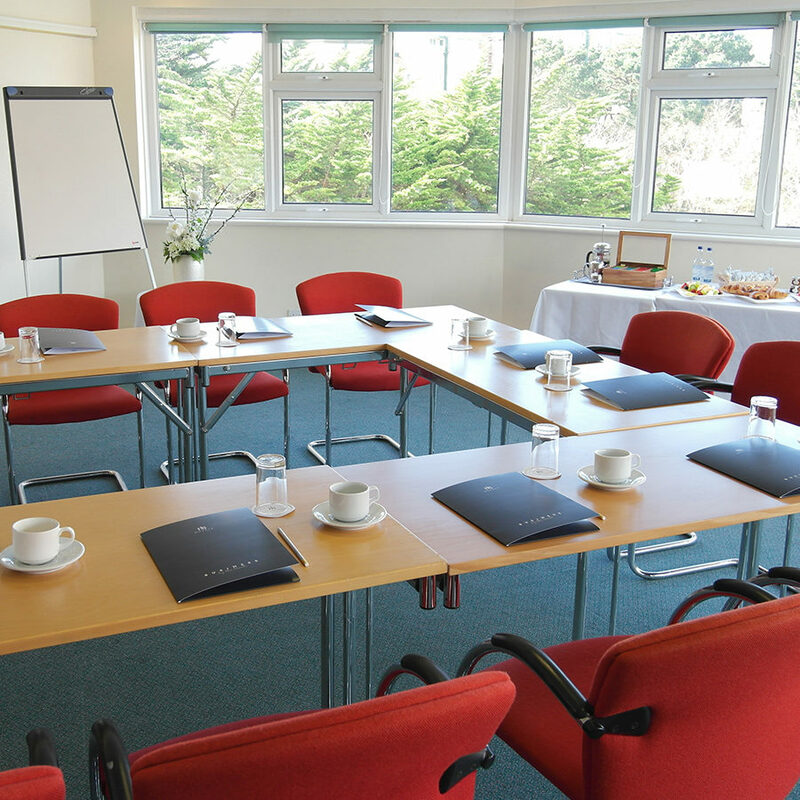 The spacious setting is perfect for large conferences and meetings. 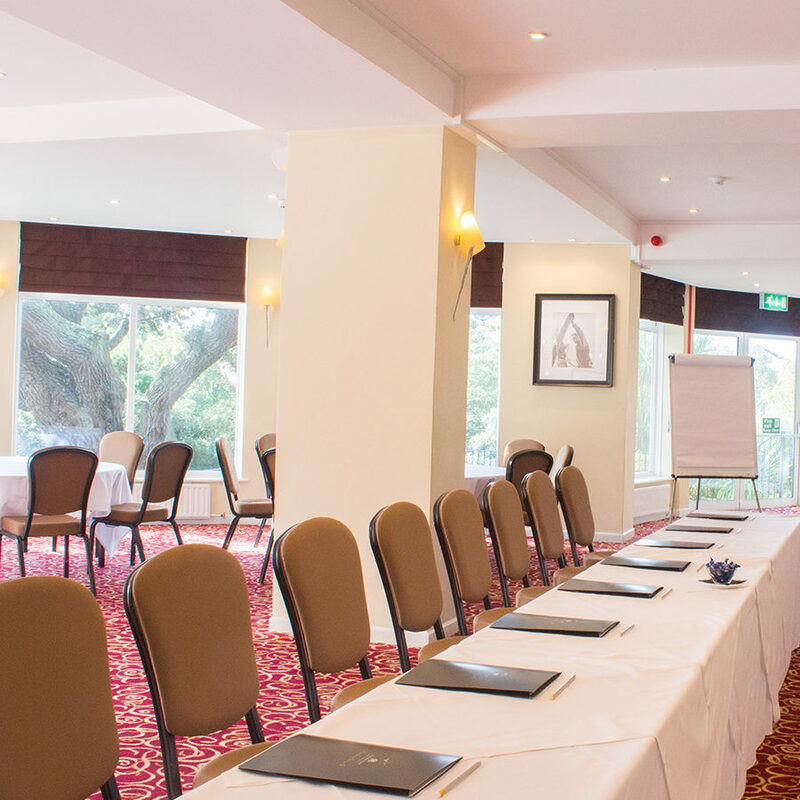 Featuring a warm and inviting reception area leading to the main room allowing attendees to collect their name badges, or have brief introductions with their meeting hosts. 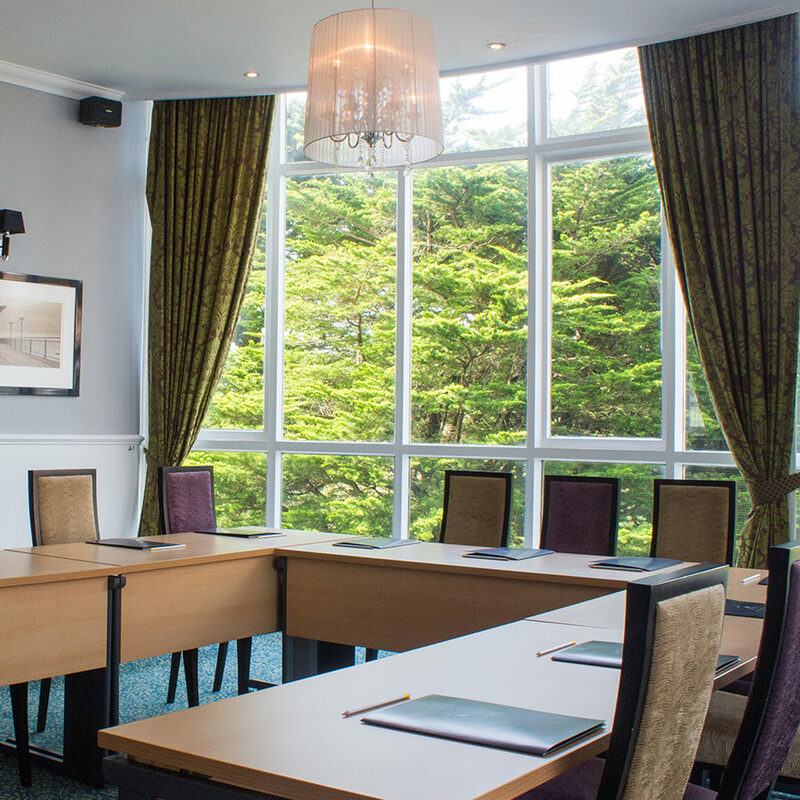 Combine this with a small breakout area, stunning garden views and private garden terrace – it is a wonderful location for awards, presentations or larger meetings and conferences. A comfortable, adaptable and refreshing room with the large bay windows allowing natural light stream in, helping to keep everyone feeling fresh and inspired. 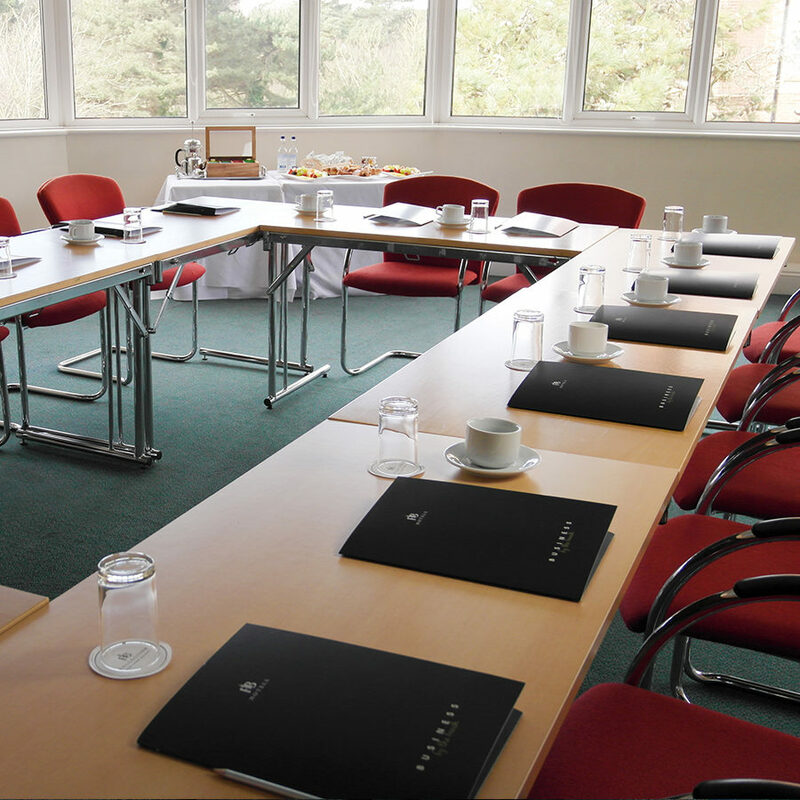 Accompany this with superb views over the tranquil gardens makes this a thought-provoking location for any meeting. A productive bundle to get your delegates through the day’s agenda. 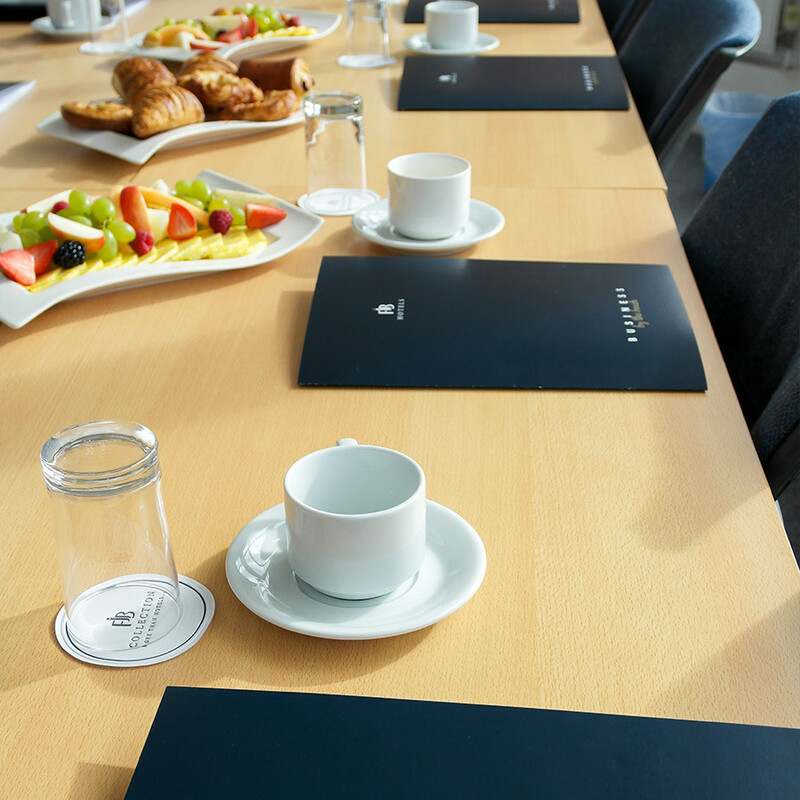 Discuss your requirements with our Meetings & Events team.